BERLIN, August 27. /TASS/. 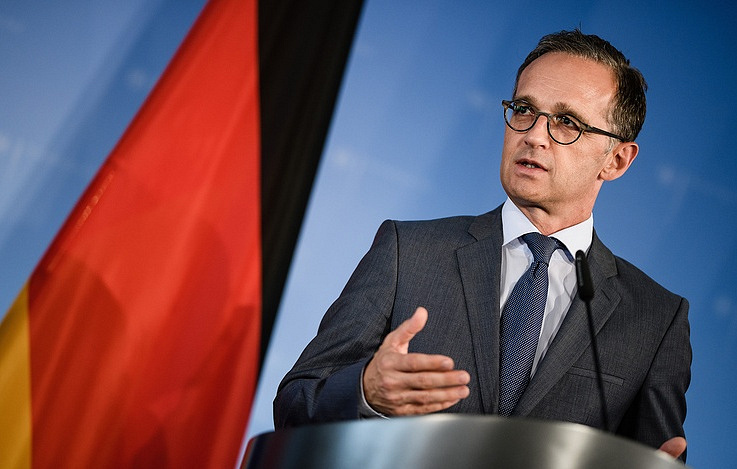 The US’ sanctions policy against other countries which are EU partners makes Europe react to Washington’s actions, said German Minister of Foreign Affairs Heiko Maas in his speech at the annual conference of the heads of the German diplomatic missions abroad on Monday. “Washington’s sanctions policy makes us search for a European answer, and the urgent launch of nonspecific sanctions against Russia, China and other EU’s trade partners by the US has a considerable effect over Europe and Germany,” Maas stated. “We have to react to it,” he noted. The minister noted that the EU is working to develop institutions that are independent from the US, in particular the European Monetary Fund and the creation of a payment system that would make it possible to preserve business relations with Iran. That said, Maas stressed that the US is the EU’s “closest partner.” “We want it to remain so,” the minister added. Hey Buddy!, I found this information for you: "US sanctions policy against EU’s partners makes Europe respond, says German top diplomat". Here is the website link: https://russophile.org/us-sanctions-policy-against-eus-partners-makes-europe-respond-says-german-top-diplomat/. Thank you.